Flag Day is just a few short weeks away so now is a good time to review how you should show proper respect for our flag anytime you’re displaying Old Glory. I see frequently these standards of flag etiquette violated, not intentionally I’m sure, but none the less violated. Following these 9 ways will ensure that you’ll never fall victim to the flag police. When carrying our Flag, never dip the flag to anyone or anything. Always keep it in a vertical position. Our flag is never to be used as drapery, a table covering, over a speaker's podium, or for any decoration in general. Our flag should not be used for advertising purposes. Don’t embroider, print on, or cover items with our flag, especially if designed for temporary use and then discarded. Don’t attach advertising to the staff or halyard. Our flag should not be used for a costume or uniform. You can use a flag patch on the uniform of our military, police, firemen, and members of patriotic organizations. Our flag should never have anything placed on it. Don’t put insignia’s, letters, pictures, words, drawings, etc. NOTHING should be on our flag! Our flag should never be used to carry, hold, or deliver anything. Our flag should never touch the ground or any other object. Our flag should be cleaned and repaired as necessary. I witness many of these violations of flag etiquette in our community. Most often I see worn, faded, and tattered flags. Our flags are not indestructible. They wear out! Take pride in our US Flag; teach your kids how to properly display our flag. Let’s all show our flag the proper respect it deserves. Don’t have a flag? Is yours worn and unserviceable? 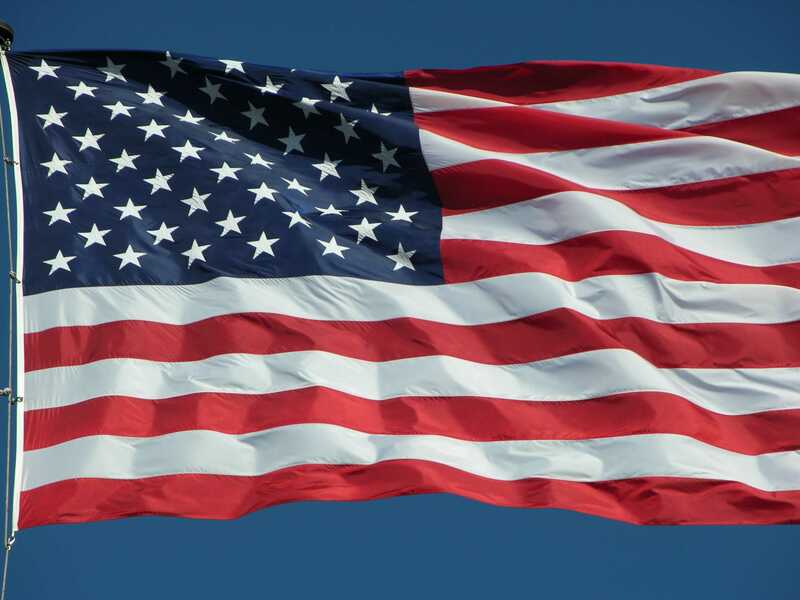 Learn how you can get a FREE Replacement flag for Flag Day this year. Click on Flag Week to find out more. Question? Do you know someone that has an unserviceable flag? Share this post with them.